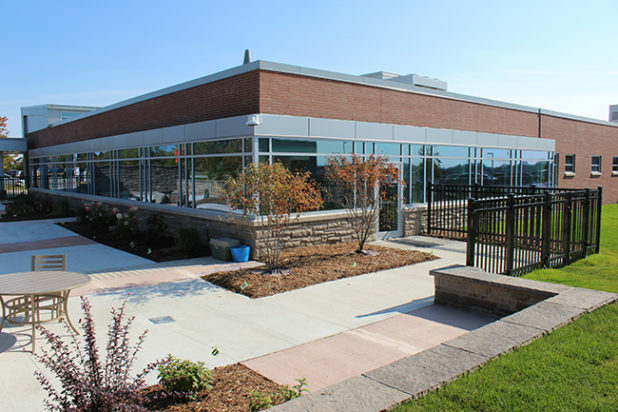 After a busy 12 months at the hospital, Headwaters Health Care Centre’s President and CAO, Stacey Daub, was at Orangeville Council on May 7 to provide an update on the facility’s workings in the Dufferin-Caledon community and to discuss its plans for the future. One of 24 designated medium-sized hospitals in Ontario, HHCC is on the cusp of breaking through that classification with the local hospital busier now than it has ever been before. In her report to Council, Ms. Daub noted that 16,000 residents from Orangeville alone accessed HHCC services in the last year, numbers she notes are much higher than she had expected. A significant portion of that growth can be attributed to the opening of the hospital’s new ambulatory care wing, which Ms. Daub noted has been a big success. Visits to that department have grown by 58 percent since 2014. Emergency room visits are also on the rise in the community, but not at the rate of other areas, Ms. Daub added. The main purpose of the visit, however, was the garner support from the municipality. Ever since the Ontario government implemented a new funding formula for hospitals in 2013, Headwaters has struggled to keep up with the demands of the community. Each year, the Headwaters Health Care Foundation raises in the region of $2 million to help support equipment purchases and renovations at the local facility. While that support of the community is invaluable, says Ms. Daub, long-term plans for the facility are reliant on additional funding from the province. Headwaters Health Care Centre is one of the largest employers in the region, with 705 staff members and 150 physicians working there. The hospital also boasts a volunteer base of 275 individuals. The facility is currently in the process of promoting its Imagine Headwaters campaign, described by Ms. Daub as a grassroots re-engagement for the community to help plan the future of the hospital. “We’re asking for feedback regarding what the hospital does well, where we have opportunities to improve… We’ve had tremendous participation so far. We encourage you as leaders of the community to help us get more people involved,” Ms. Daub said. So far, the hospital has received more than 250 surveys from people in the community. Coun. Gail Campbell, a former registered nurse at Orangeville’s hospital, said she hoped Council would get on board with both requests and stand behind HHCC. For more information on Imagine Headwaters, visit imagineheadwaters.com.